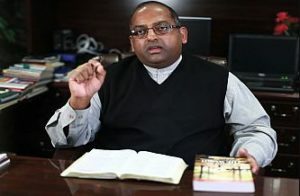 United In The Word Ministries, Inc. is a domestic non-profit corporation set up in the state of Georgia in the United States of America that is committed to promoting daily Bible reading and meditation. A systematic and daily reading of the Word of God is important for any Christian to maintain a strong relationship with Jesus Christ. Each believer needs to establish a daily quiet time with God and His Word, and pray that the Holy Spirit will help in understanding God’s Word. Please join us in reading and meditating on God’s Word on a daily basis. May God bless you as you look to Him for all the answers in His Word! CLICK HERE to read the today’s Bible Devotion.